The 2006–07 season was the 28th season of the Football Conference. This season saw the promotion of Dagenham & Redbridge and Morecambe to the Football League for the first time, whilst Droylsden, Farsley Celtic, Histon and Salisbury City were promoted to the Conference National for the first time in their history. At the end of the season Scarborough and Farnborough Town went out of business, whilst Hayes and Yeading merged to form a new club, Hayes & Yeading United and Moor Green merged with Southern League side Solihull Borough to form Solihull Moors (which took Moor Green's place in the Conference North). Oxford United drew the biggest crowds, with an average of 6,332 spectators and a peak of 11,065 in their match against Woking. Exeter City came second far behind them, with an average of 3,627, just beating Oxford's average with a peak of 6,670 in their match against Southport. Other teams could not match Oxford's average even in their most popular matches. A total of 24 teams contested the division, including 18 sides from last season, two relegated from the Football League Two, two promoted from the Conference North and two promoted from the Conference South. Points scored: 3 points for a win, 1 point for a draw. ^ Crawley Town had 10 points deducted for entering administration. ^ Altrincham were reprieved from relegation due to Boston United's double relegation. A total of 22 teams contested the division, including 19 sides from last season, one relegated from the Conference National and two promoted from the Northern Premier League. ^ Moor Green merged with Solihull Borough to form Solihull Moors. ^ Scarborough had 10 points deducted, and eventually folded. 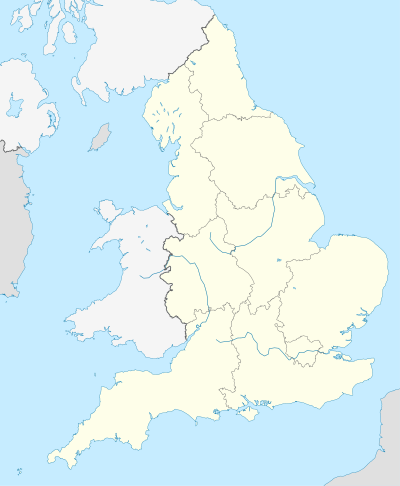 ^ Lancaster City had 10 points deducted for entering administration, and they were relegated two divisions to the Northern Premier League Division One North due to financial problems. Source: Sky Sports Football Yearbook 2007–2008. Glenda Rollin & Jack Rollin (eds.). Headline, 2007. A total of 22 teams contested the division, including 18 sides from last season, two promoted from the Isthmian League and two promoted from the Southern Football League. Southern Football League Division One South & West, two divisions below the Conference South. ^ Yeading merged with Hayes to form Hayes & Yeading United. ^ Weston-super-Mare were reprieved from relegation due to Farnborough Town folding and the merger of Hayes and Yeading. ^ a b c d e f g Sky Sports Football Yearbook 2006–2007. Glenda Rollin & Jack Rollin (eds.). Headline, 2006. ^ "England 2006–07". Rec.Sport.Soccer Statistics Foundation. Retrieved 18 November 2010. This page was last edited on 21 October 2018, at 23:06 (UTC).